LOS ANGELES (August 7, 2018) — Today, Annenberg Space for Photography, Los Angeles’ premier destination for photography, announces its next exhibition opening in Fall 2018. The National Geographic Photo Ark—a vibrantly photographed, animal-centric show—will run from Oct. 13, 2018 through Jan. 13, 2019. 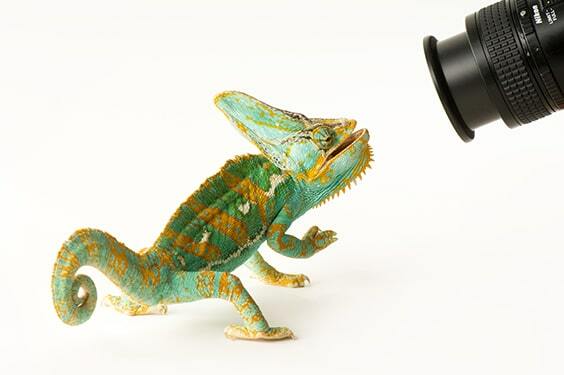 The Photo Ark is National Geographic photographer and Fellow Joel Sartore’s ambitious project to shoot studio-quality portraits of every species living in the world’s zoos and wildlife sanctuaries, including mammals, reptiles, birds, fish, amphibians, and even insects. His goal is to inspire people not only to care, but also to help protect animals from extinction before it’s too late. This traveling exhibition at Annenberg Space for Photography marks the first time these extraordinary images will be shown in a space dedicated solely to the art of photography. Highlighting hundreds of species with Sartore’s stunning, large-format prints, visitors will come eye-to-eye with a selection of the more than 8,000 species Sartore has photographed in dozens of countries for the Photo Ark to date. Some of the exhibition’s interactive components include a documentary film providing a behind-the-scenes look at Sartore’s project, its mission and conservation efforts; interactive animal-related games; a studio where guests can be photographed with their favorite animal as a backdrop; and a gallery devoted to California’s indigenous species. Annenberg Space for Photography will also offer a full slate of programming, including field trips, workshops, and its acclaimed Iris Nights lecture series that will appeal to animal and photography fans alike. In addition to creating an archival record for generations to come, this project is a platform for conservation and shines a light on individuals and organizations, such as the Annenberg Foundation, working to support animal welfare and conservation efforts. Photo Ark fans and animal lovers are invited to join the conversation on social media with the #PhotoArk campaign and learn more about how to get involved with the project at NatGeoPhotoArk.org. The Photo Ark exhibit is organized and traveled by the National Geographic Society.